Disc spring with small size, large storage, combination easy.widely used in national defense, metallurgy, engineering, electric power,machine tool and machinery industry. 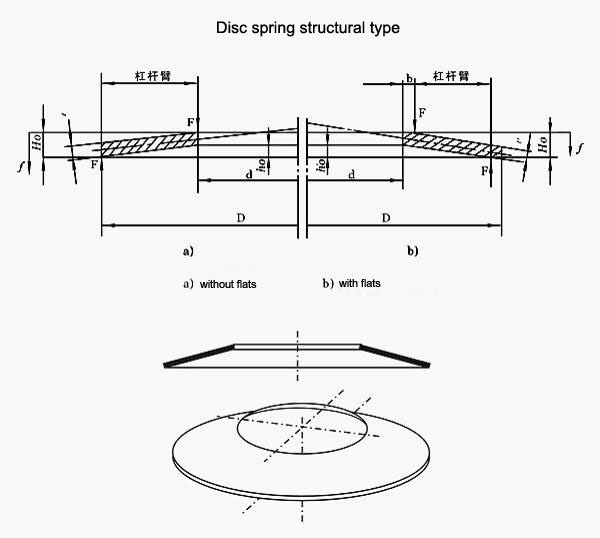 According to the status of the using conditions and stress,the company use the independent development of computer aided design system to determine define the disc springs geometry size and related processing requirements. In addition to the common specifications listed disc spring and special specifications disc spring, we can also may according to the customer request drawings of production or provide the operating mode requirement, we will make the design and production.we have ten years OEM experience.